Not signed up yet? No problem you have plenty of time, get all the details in the sign-up post! 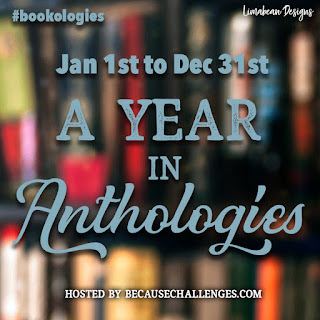 In the giveaway widget below is the link for all the anthologies you read this year. In the widget, you will enter the link to your blog or Goodreads review of the entire anthology (make sure it's the link to your review, not just the book listing). You'll enter your link in the widget based on its page length. You can do that all year instead of just doing it all at the end of the year so once you are finish with one, just pop in the link. At the end of the year we will pick two winners. All links will be checked so please make sure they are properly linked otherwise they will not count.